India has criticised the UN panel on climate change saying its grim warning about melting Himalayan glaciers was not based on “scientific evidence”. In 2007, the Intergovernmental Panel on Climate Change (IPCC) said the chances of Himalayan glaciers “disappearing by 2035 and perhaps sooner is very high”. But this projection has since been questioned and on Monday the IPCC chief said the panel would review the figure. Indian environment Minister Jairam Ramesh called for an explanation. He said that the IPCC must account for how it reached the 2035 figure. “The IPCC claim that glaciers will vanish by 2035 was not based on an iota of scientific evidence,” the Hindustan Times newspaper quoted Mr Ramesh as saying. Mr Ramesh said he felt “vindicated” after repeatedly challenging the IPCC’s work on glaciers. He said there was no “conclusive scientific evidence” linking global warming to the melting of glaciers. Academics have previously questioned the 2035 figure saying it was “wildly inaccurate”. J Graham Cogley, a professor at Ontario Trent University, said he believed the UN authors got the date from an earlier report wrong by more than 300 years. He said they “misread 2350 as 2035”. The authors denied his claims. The Himalayas hold the planet’s largest body of ice outside the polar caps – an estimated 12,000 cubic kilometers of water. They mountain range feeds many of the world’s great rivers – the Ganges, the Indus, the Brahmaputra – on which hundreds of millions of people depend. 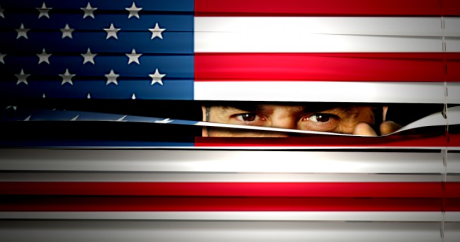 Patriot Act vs. European law: What Are The Likely Outcomes?